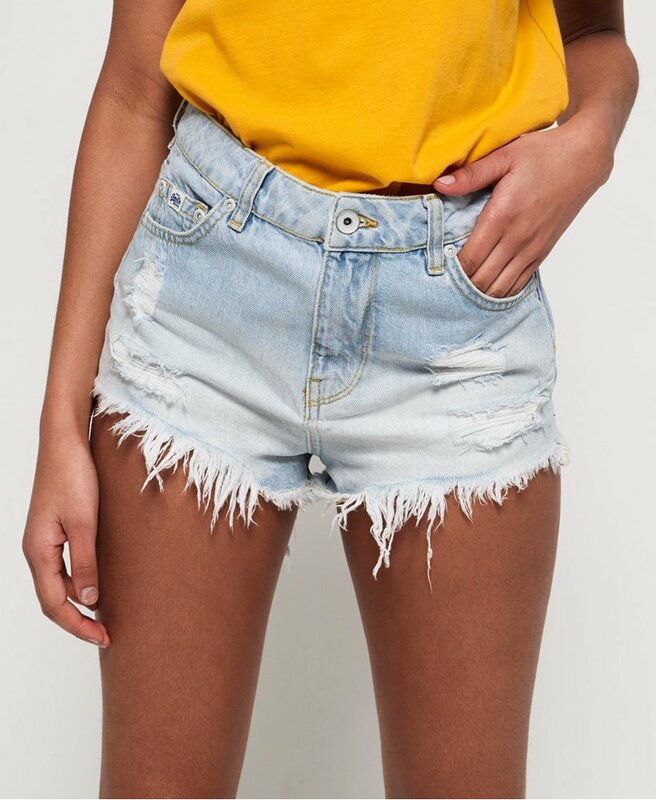 Superdry women’s Eliza cut off shorts. These denim shorts feature a distressed hem, a zip fly fastening and a classic five pocket design. The Eliza cut off shorts are finished with a leather Superdry logo patch at the rear of the waistband and a Vintage Superdry logo badge on the coin pocket.